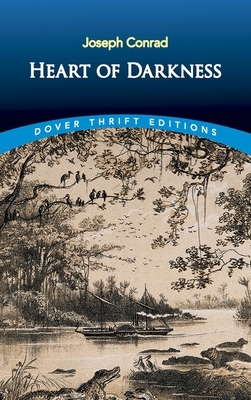 Although Polish by birth, Joseph Conrad (1857-1924) is regarded as one of the greatest writers in English, and Heart of Darkness, first published in 1902, is considered by many his "most famous, finest, and most enigmatic story." -- Encyclopaedia Britannica. The tale concerns the journey of the narrator (Marlow) up the Congo River on behalf of a Belgian trading company. Far upriver, he encounters the mysterious Kurtz, an ivory trader who exercises an almost godlike sway over the inhabitants of the region. Both repelled and fascinated by the man, Marlow is brought face to face with the corruption and despair that Conrad saw at the heart of human existence. Joseph Conrad (1857-1924) was fluent from birth in French as well as his native Polish. He learned his third language, English, as an adult, and it was in English that he wrote his evocative stories and novels. Conrad drew upon his experiences in the British and French navies to portray the struggles of humanity amid the world's vast indifference.